Pratt Industries driver, Mark Clement, helps load a trailer of humanitarian aid cargo as part of a volunteer effort. Pratt Industries recently became a major partner in the fight against hunger in Belize by providing transportation and logistics for a load of 44,000lbs of food and hygiene supplies earmarked for children in the Central American country. The shipment contained over 285,000 meals that were packed locally in Atlanta and are to be distributed to schools and churches in the Stann Creek District of Belize. This effort was part of a Stop Hunger Now! program, an international relief agency that has been fulfilling its commitment to end hunger for more than 12 years. It is supported by donated relief goods and services that are processed by all-volunteer help. 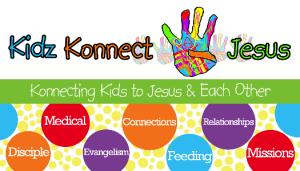 “Without partners like Pratt, this program simply would not be possible and on behalf of all the children in Belize, we say ‘thank you’!” said David Rhodes co-founder of the Kidz Konnect 4 Jesus (KK4J) and a partner with Stop Hunger Now! 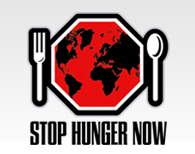 Stop Hunger Now! coordinates the distribution of food and other life-saving aid around the world. Its meal packaging program gives volunteers the opportunity to package dehydrated, high protein and highly nutritious meals that are used in crisis situations and in school feeding programs for schools and orphanages in developing countries. Rhodes said KK4J is on a mission in Belize to develop meaningful relationships between American and Canadian Churches and local villages. “Kidz Konnect is a very, very small organization, but is able to meet some pretty amazing, large scale ministry needs thanks to God and ‘long term’ partners such as Pratt Industries and Stop Hunger Now!” he said.